It’s not hard to infer that when something becomes difficult to obtain, the natural instinct of a consumer would be to act quickly in order to not miss out before the window of opportunity has closed. Scarcity marketing is most commonly associated with events like Black Friday or Cyber Monday where shoppers are incentivized to score expensive items at discounted prices with limited availability. 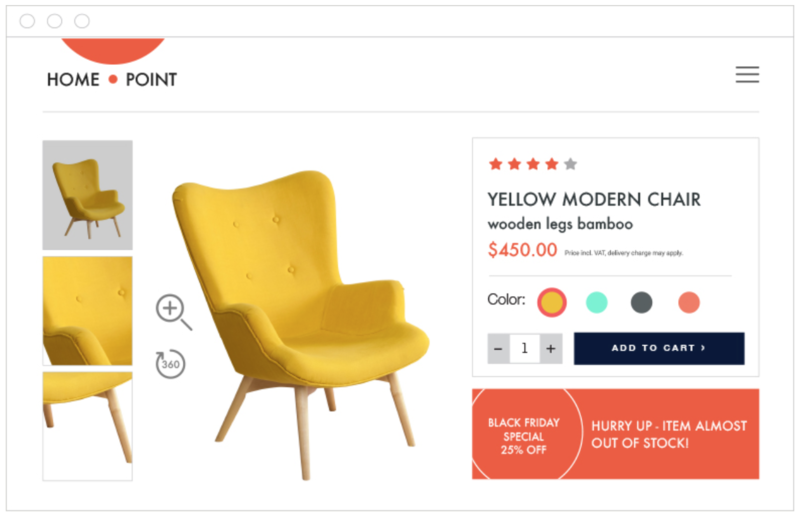 But while these instances may be more circumstantial in nature, as these holiday-oriented sales only come around once a year, the psychology behind what drives people to action remains the same. In fact, the scarcity principle, one of six highlighted in Dr. Robert Cialdini’s book on the Influence: The Psychology of Persuasion is believed to make a product appear more valuable to a consumer. And these days, a variety of tactics are being implemented to effectively pique the interest of shoppers. For example, the CTA below creates a sense of urgency by communicating to the shopper an item is low in stock, drastically improving the retailer’s chances of capturing a sale. And this application doesn’t have to be limited by the season. Limited-time offers are also a great way for retailers to encourage immediate purchasing decisions. Whether in the form of a banner ad or notification, placing attention-grabbing keywords (e.g. % off, now, new, best sellers etc.) within a given time frame (by midnight, today only, last call, 3 hours left etc.) will induce a fear of missing out among users and intrigue them to seize the opportunity before it’s gone.